It will link the time frame between the original manga and the Clear-Card one. It has been announced that bundled with the newest volume of “Sakura Card Captor: Clear-Card” Manga an OAD will come with it. 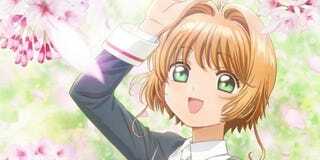 Morio Asaka (Sakura Card Captor) is directing the animation at Studio Madhouse. the volume, and the OAD, will come in September.